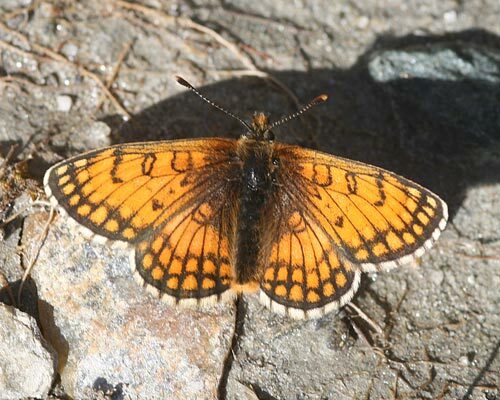 A small species found at higher altitudes (mainly at alpine levels, occasionally lower) in the Alps and central Italy. 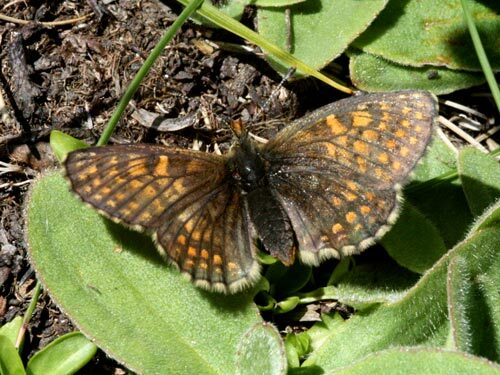 It's local but often common where found. 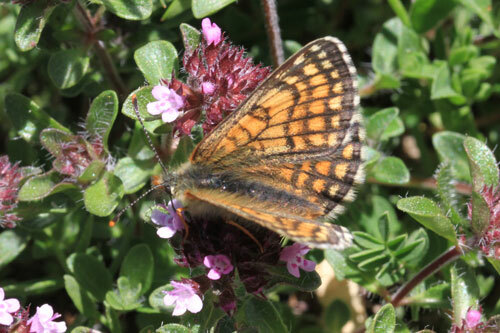 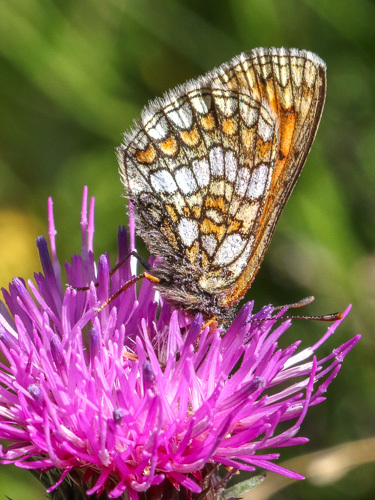 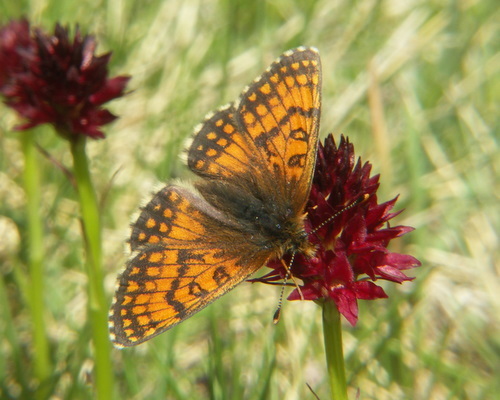 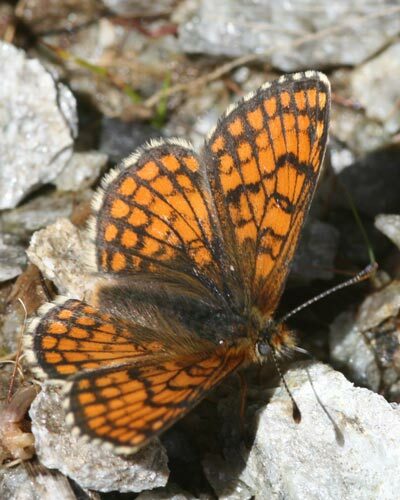 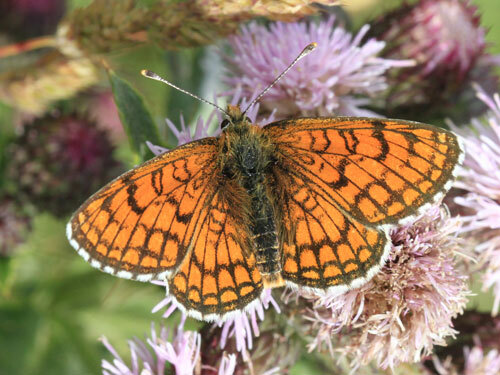 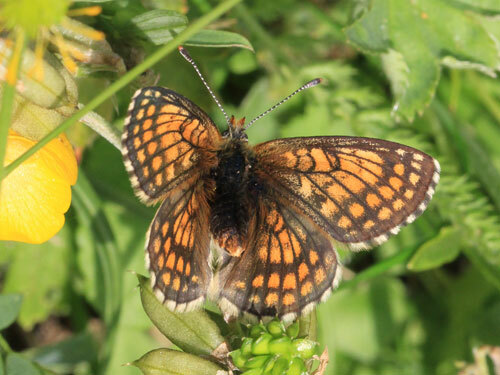 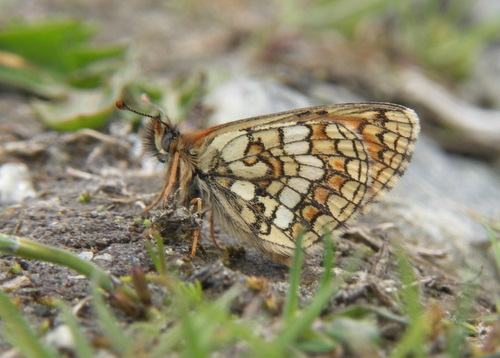 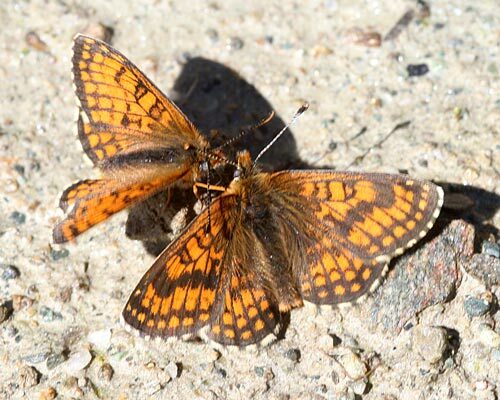 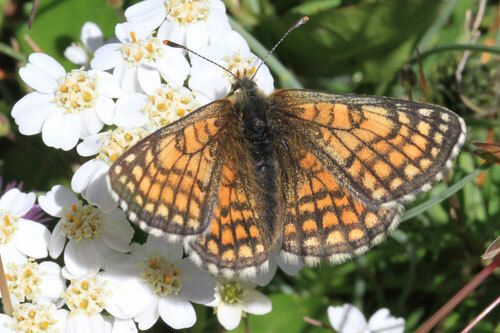 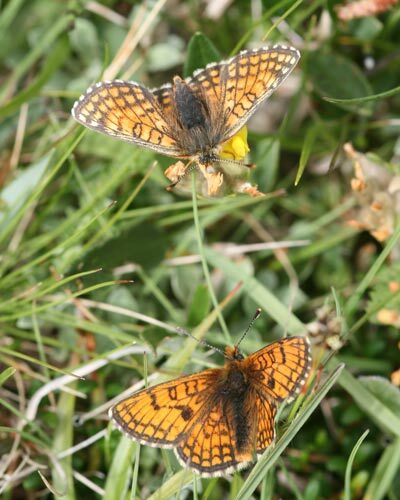 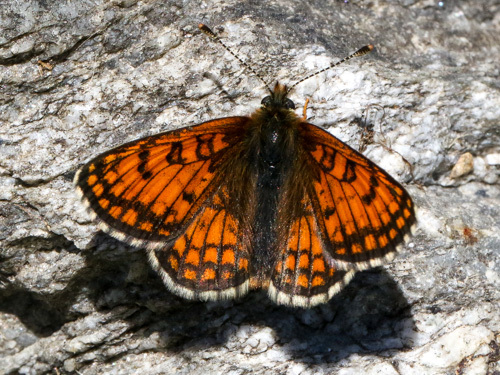 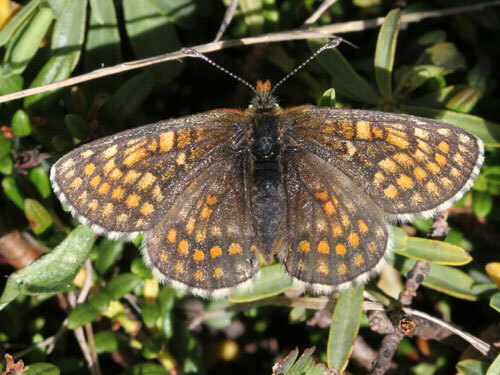 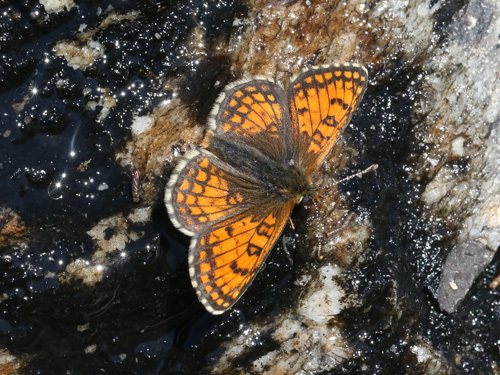 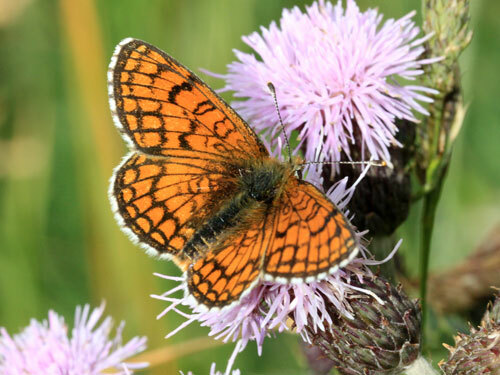 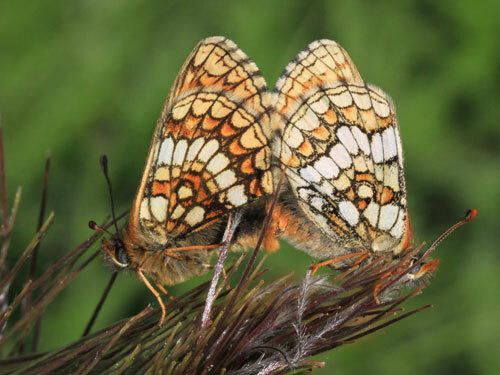 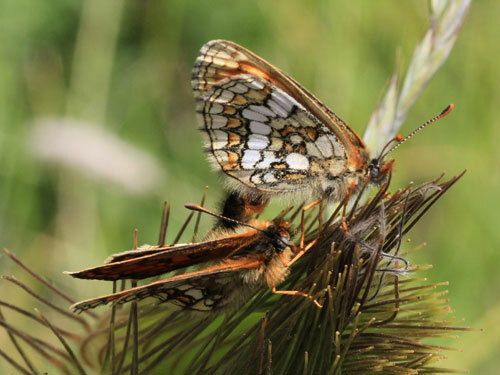 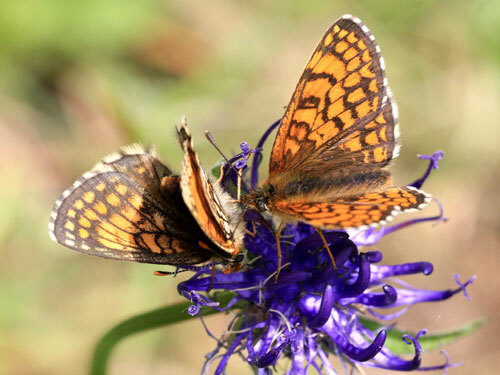 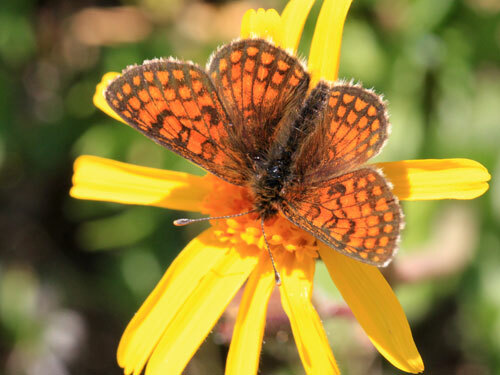 Heath fritillary, M. athaliafor features that may help separate this and other similar species. 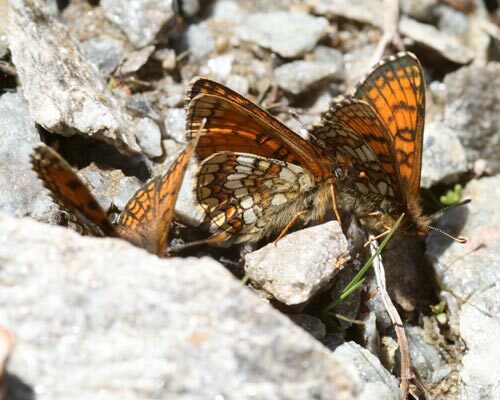 Distribution & Flight: Only from the Alps and Appenines. 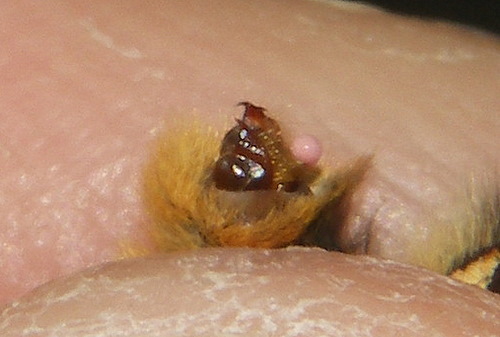 Single brooded in the summer from late June to early August. 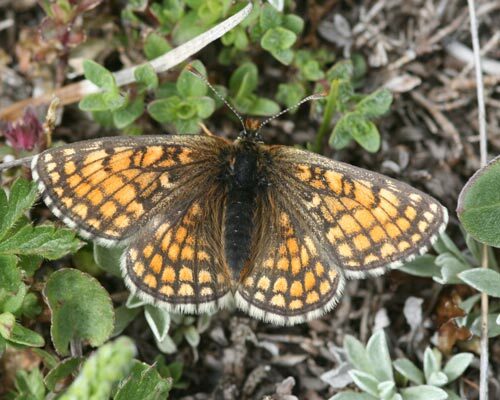 Habitat & Behaviour: Grassy flowery slopes, usually at or above the tree line. 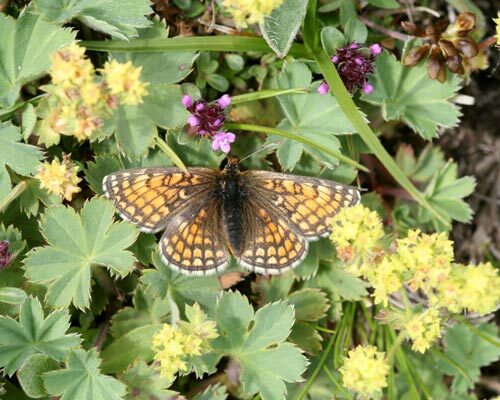 Frequently takes nectar and salts at damp patches and mountain streams.